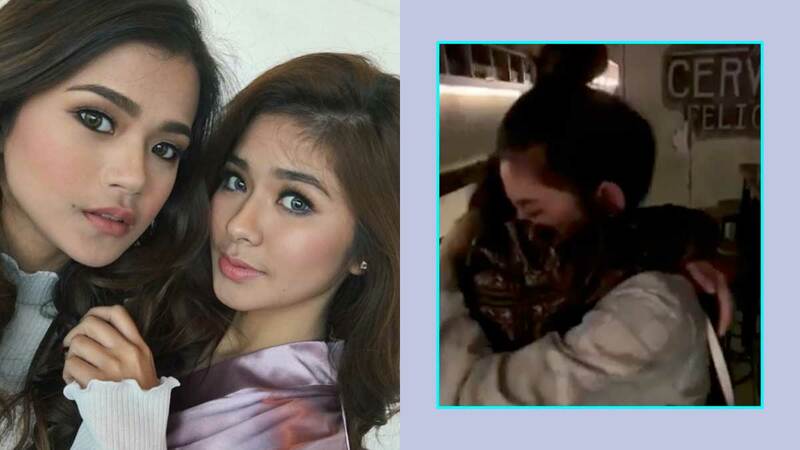 Loisa Andalio and Maris Racal, who went through a bit of a ~friendship rift~ in 2018, just had the sweetest reunion ever. The two were inseparable even after they left the Pinoy Big Brother house in 2014, that is until netizens noticed that they no longer seemed to post about each other online. Maris first spoke of their friendship on Tonight With Boy Abunda in July 2018 and said that she had a "misunderstanding" with Loisa but clarified that they're still friends. According to Maris, their schedules also didn't match most of the time, which was one reason why they couldn't hang out as much anymore. During her own guesting on TWBA in October 2018, Loisa admitted that she missed Maris and said, "Hindi naman mawawala (yung friendship). Lalo na kapag mahal mo talaga ang best friend mo." A Maris + Iñigo Pascual fan account reposted a few Instagram Stories last week, which showed the two girls at a gathering. In one video, we see Loisa and Maris hugging each other, and Loisa's obviously overwhelmed with emotion. Someone in the background asks, "Bakit, bakit, bakit?" and Maris replies, "Emotional lang!" as she breaks down into tears, too. The two girls didn't stop hugging until the video ended! Aww! Also present at the event were Joshua Garcia, Alexa Ilacad, and Gerald Anderson, among others. We're so happy you guys are together again, Maris and Loisa! BRB, telling our own BFFs how much we love them right now.